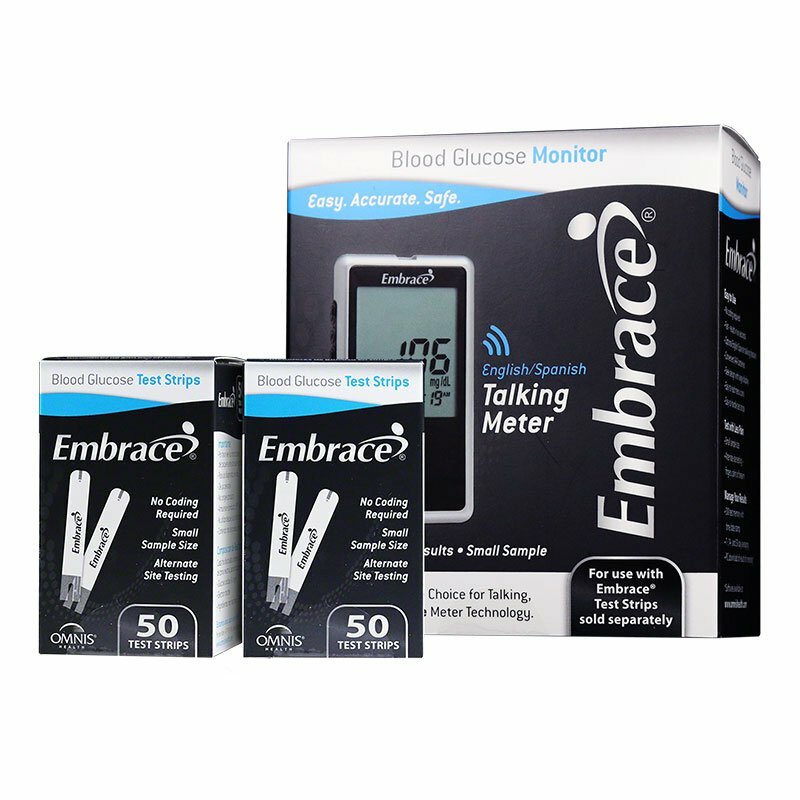 The Embrace No-Code Talking Blood Glucose Meter Kit provides accurate results in just 6 seconds with a small 0.6mL blood sample. No Code Technology delivers a more accurate result with less potential for error. 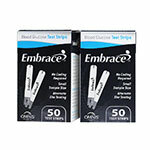 Package also includes 100 Test Strips. 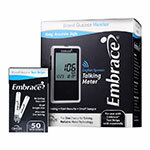 The Embrace No-Code Talking Blood Glucose Meter provides accurate results in just 6 seconds with a small 0.6mL blood sample. The no code technology in the meter delivers a more accurate testing result with less potential for error. 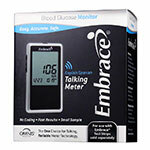 The Embrace is ideal for anyone that is visually impaired - the meter features a large display screen and is able to speak the test results in both English and Spanish. 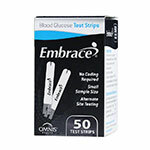 This offer is for one Embrace Talking Blood Glucose Meter and 100 Embrace Test Strips. Speaks in English or Spanish! ADW Diabetes guarantees that all glucose test strips have a minimum of 12-month dating.